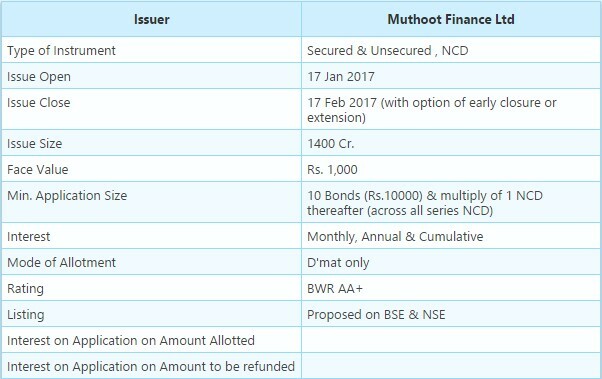 Muthoot Finance Ltd is coming out with a public issue of Unsecured & Secured, Redeemable, Non Convertible Debentures (NCDs) of face value of Rs. 1000 each aggregating to a total of upto Rs. 1400Cr. The Issue is open for subscription on 17 Jan 2017 and closes on 17 Feb 2017 (Early Close 18 Jan 2017).